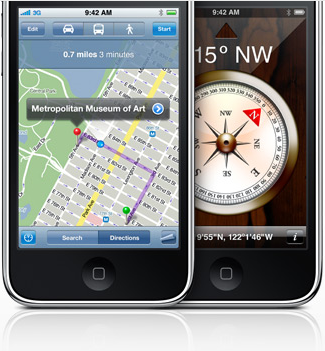 In iPhone OS 3.0, a digital compass will be provisioned, which could potentially add more helpful features to the existing Google Map application. Already, the soon-to-released OakMapper Mobile is taking advantage the open API for Google Map in iPhone SDK 3.0beta to create an application that allow iPhone users to view and report SODs on their iPhones. 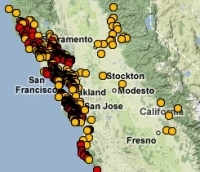 I believe that the future iteration of the OakMapper Mobile application can take advantage the built-in compass to re-trace the reported SODs.